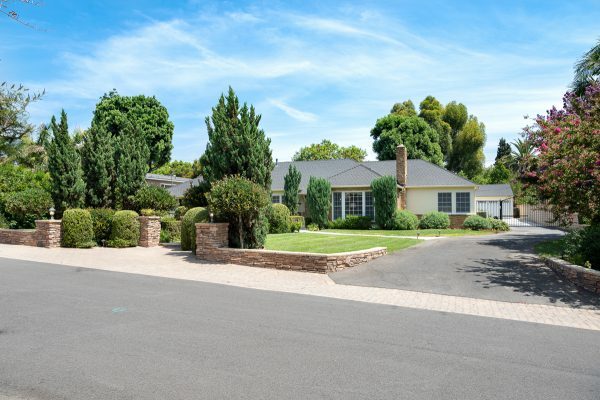 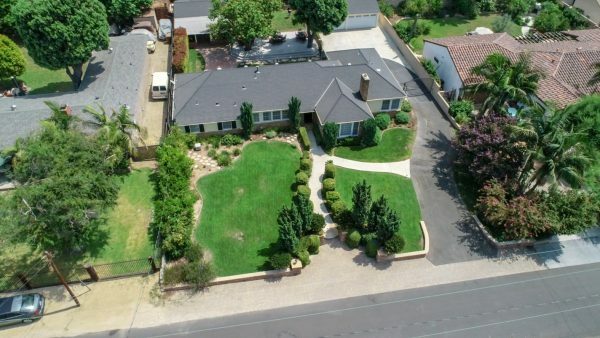 Here is a rare opportunity to live in a Muckenthaler neighborhood estate. 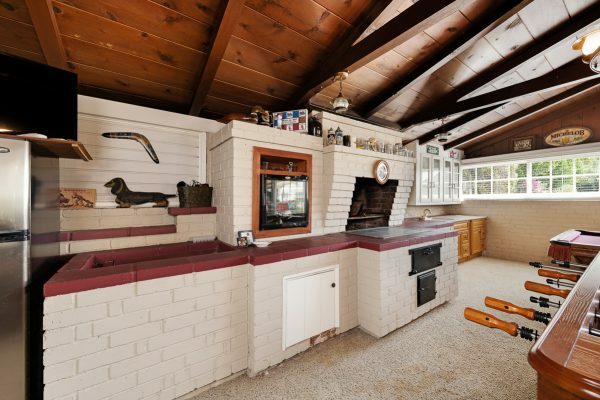 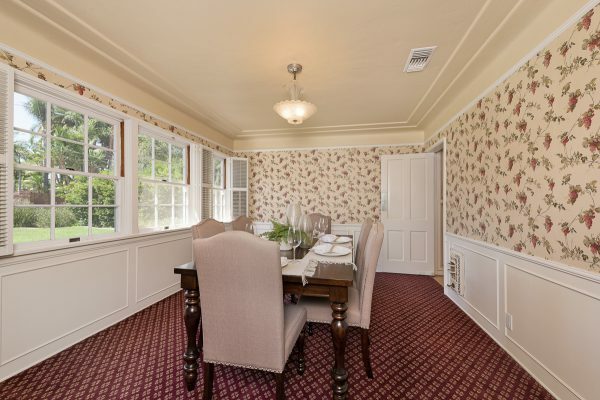 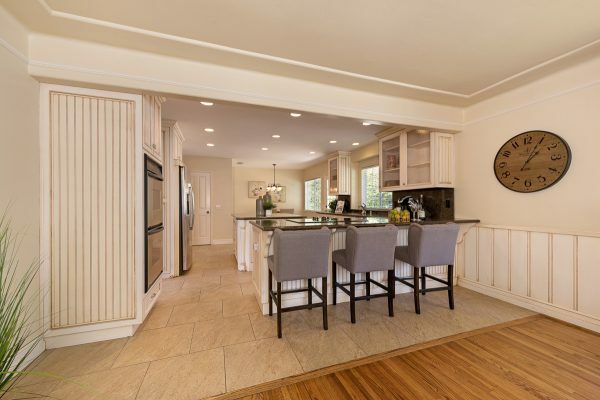 This quality built Jewett Brothers home was built in 1939 and still retains many of the original architectural features while adding modern conveniences. 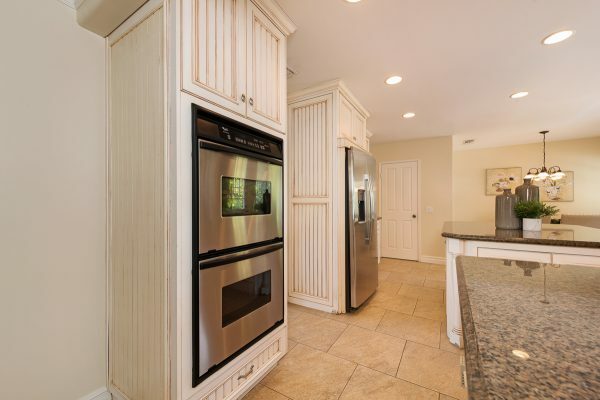 Just a few of the original features include: Tray and cove ceilings, clever and useful storage, wainscoting, picture rails, heavy wood entry door with brass peep door, vanity and display alcoves, built-in shoe shine and ironing centers, and an unfinished basement that would make an excellent wine cellar or humidor. 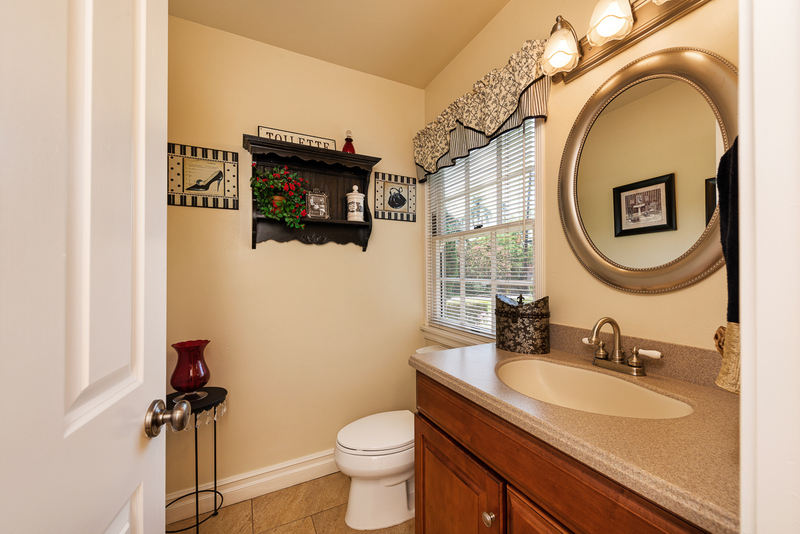 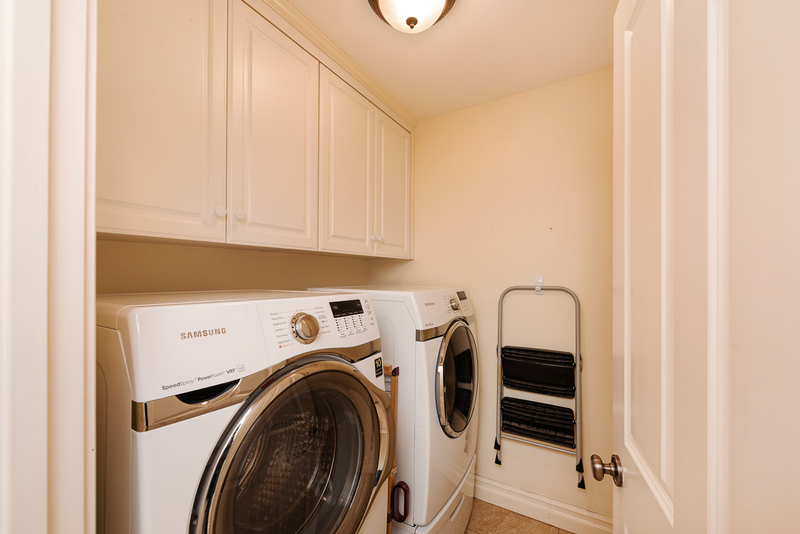 The modern conveniences include: Newer central heat & air, tankless water heater, 200 amp electrical panel, spa tub, and ceiling fans. The curb appeal of this French Revival home will take your breath away with the hip roof line and the brick accents. 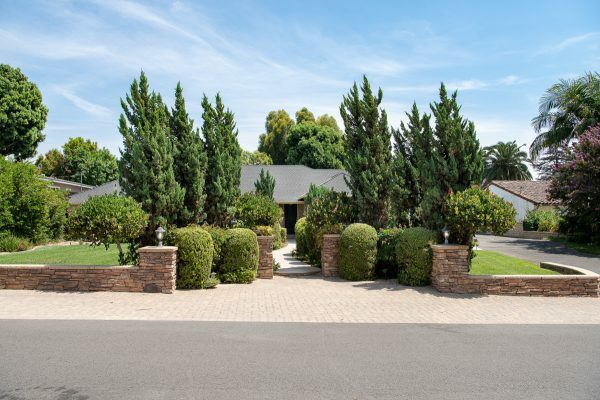 The mature and well thought out landscaping creates a feeling of privacy and a canvas to accent the beauty of this home. 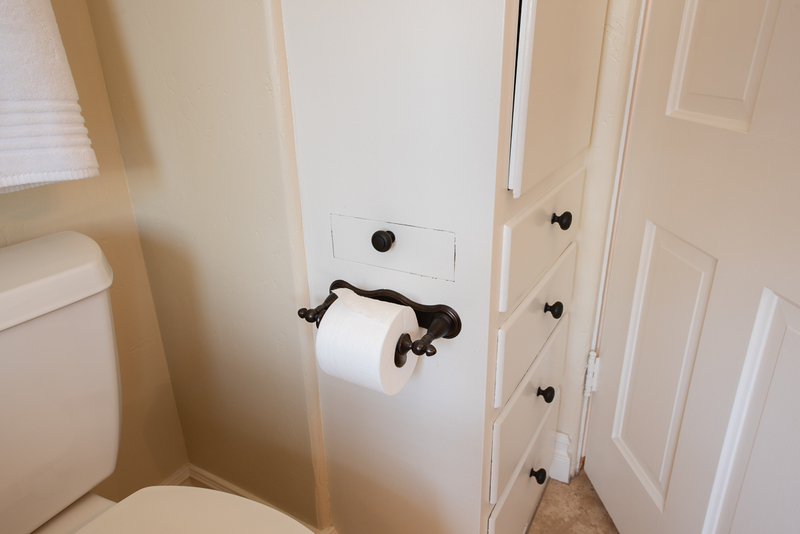 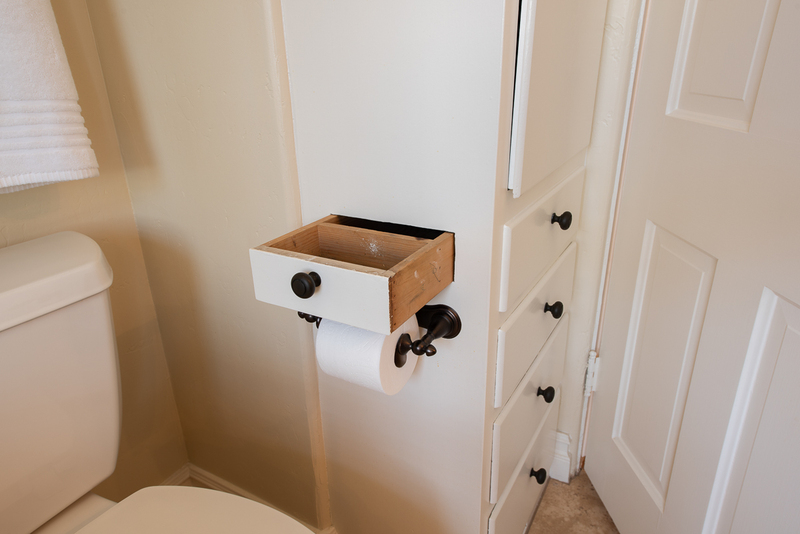 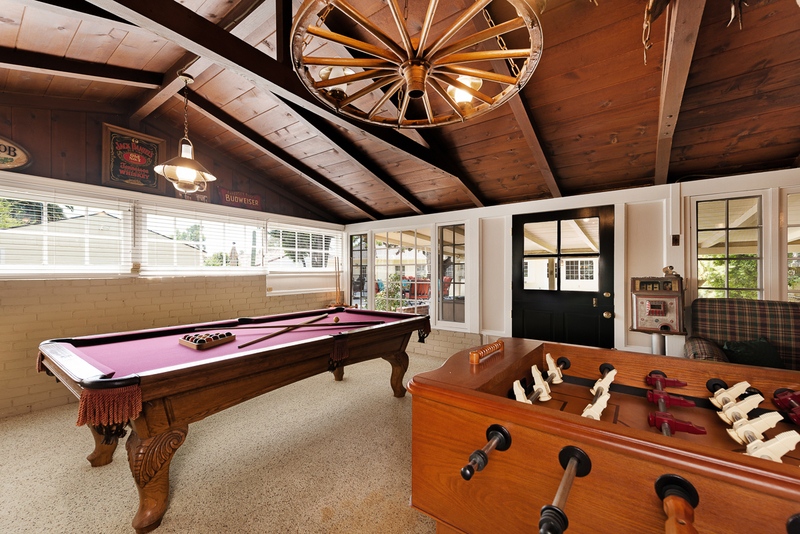 The interior had been updated, but done in a way that tastefully compliments the home’s vintage appeal. 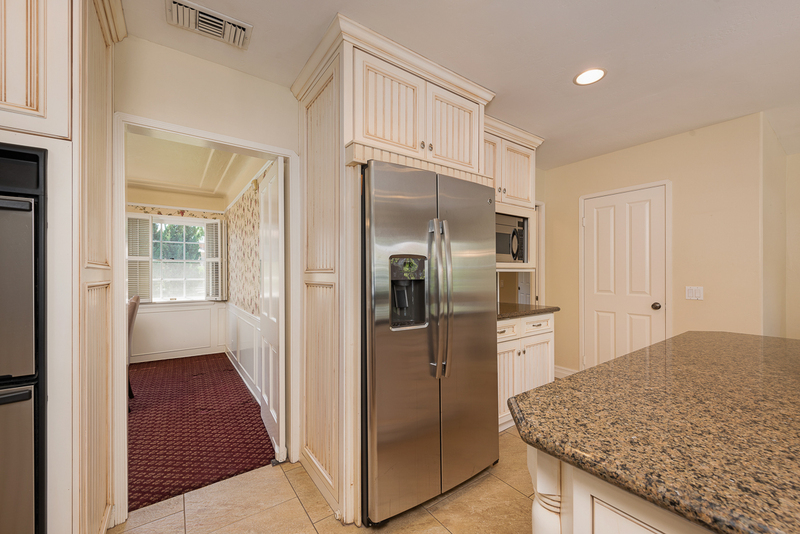 The remodeled kitchen boasts: A large island, double oven, granite counters, custom cabinets and a large walk-in pantry with ample storage. 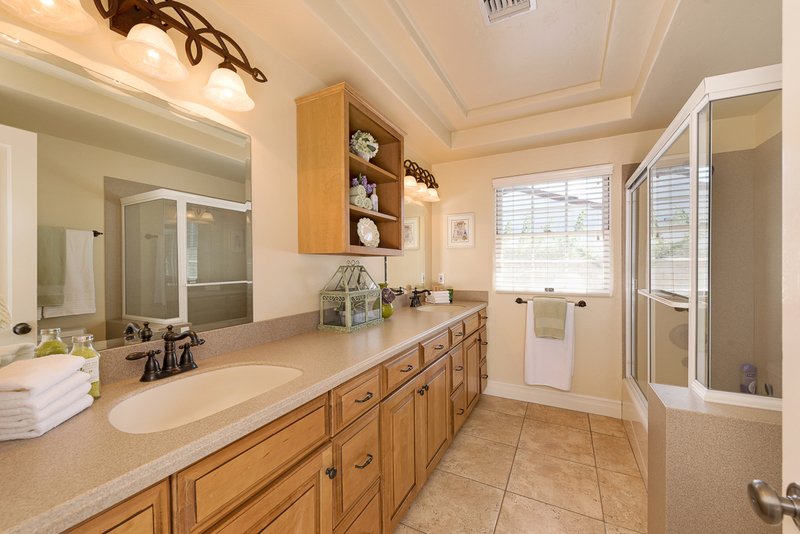 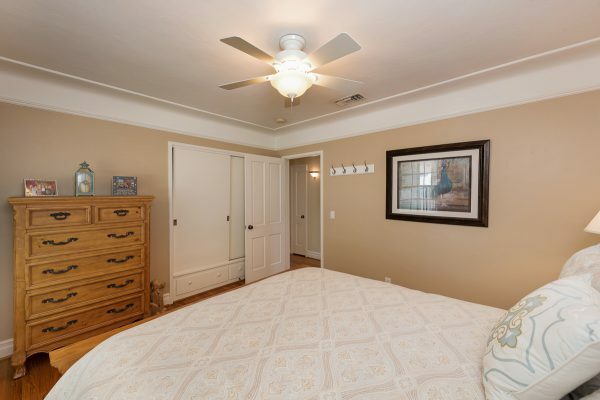 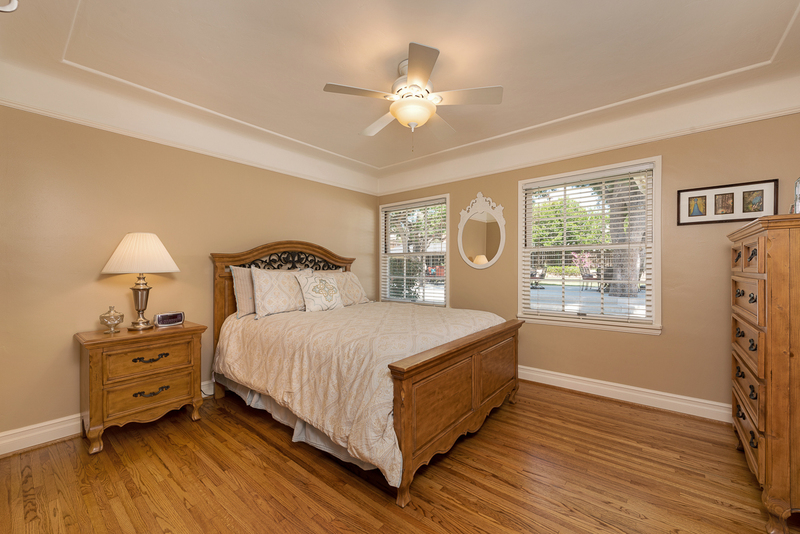 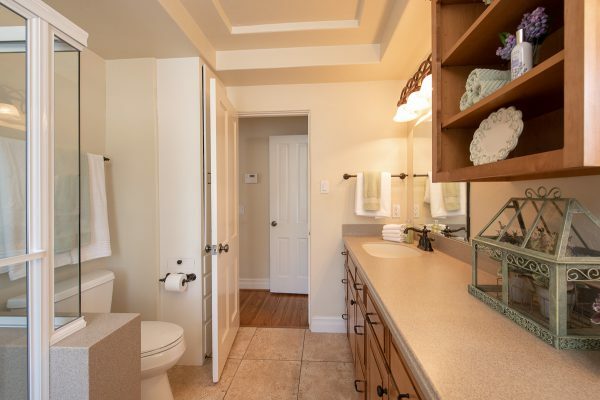 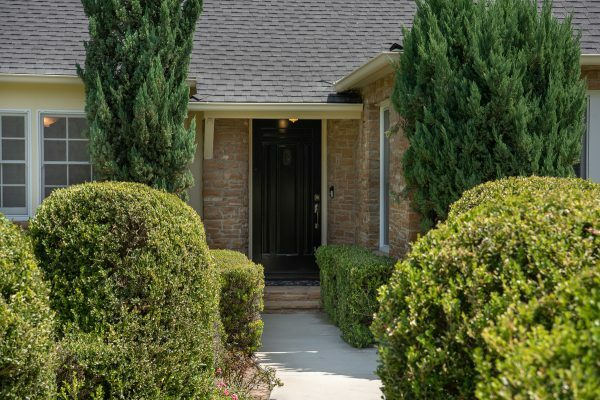 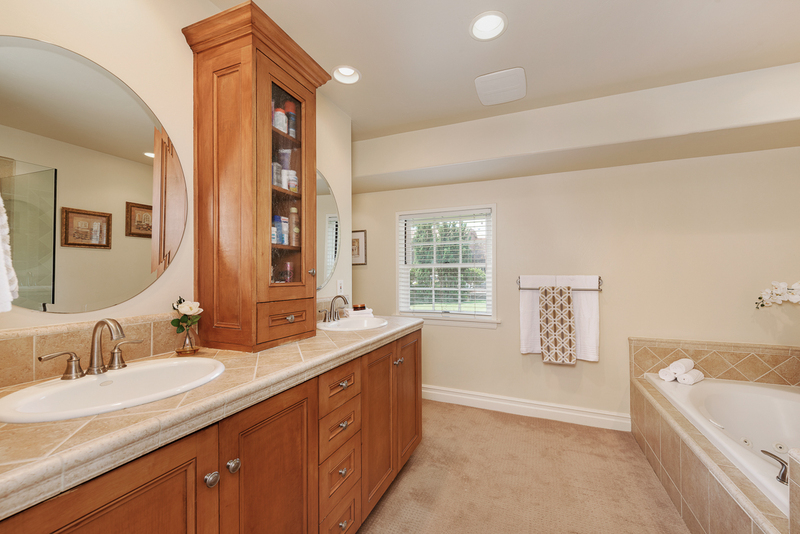 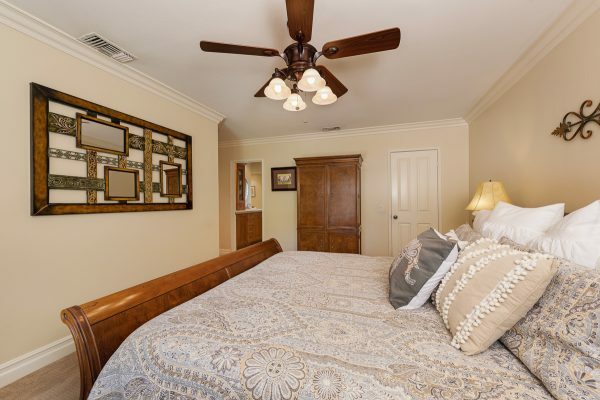 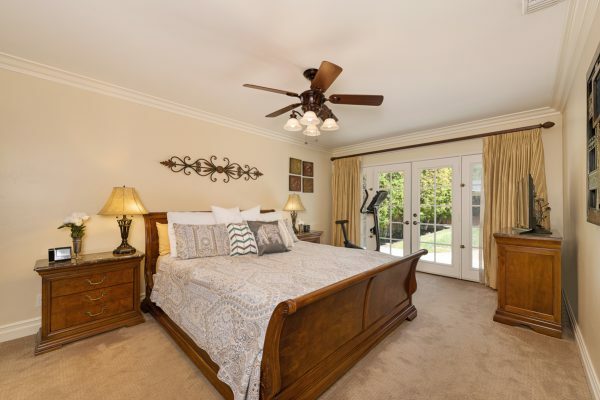 The master suite is on it’s own wing of the home and has a walk-in closet, French doors leading to the expansive back yard, and a large bathroom with spa tub and separate shower. 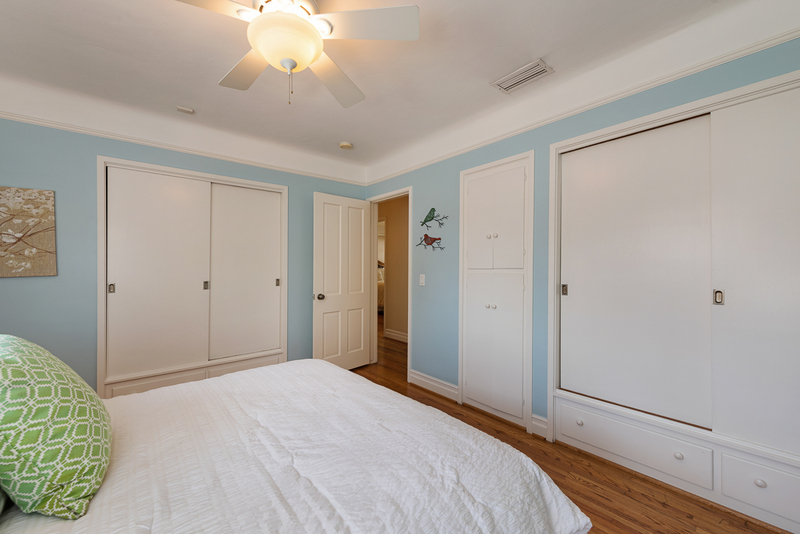 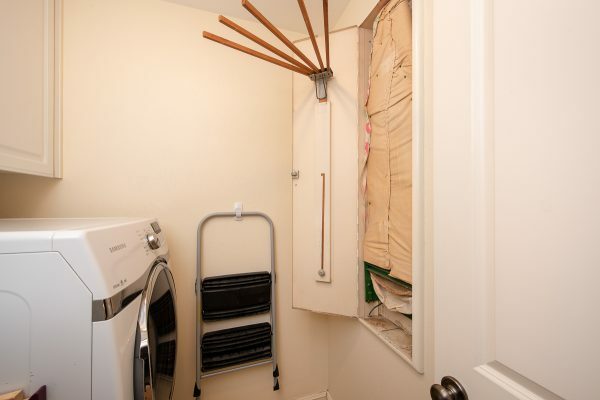 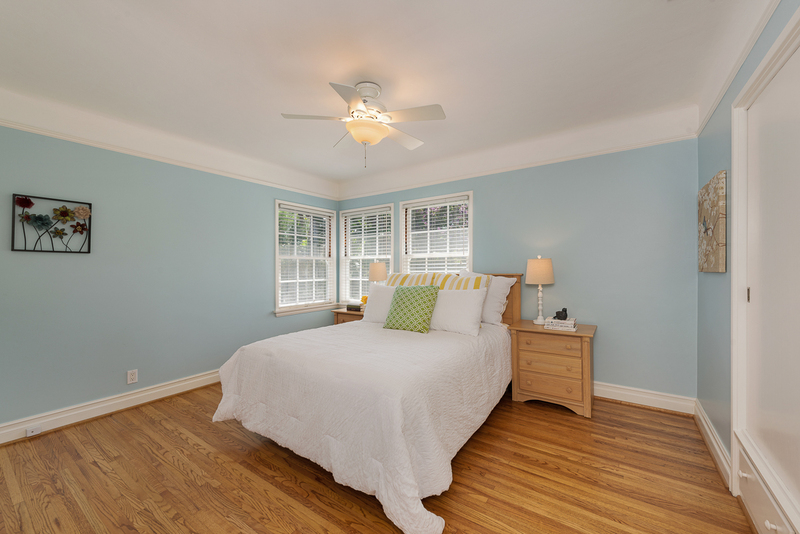 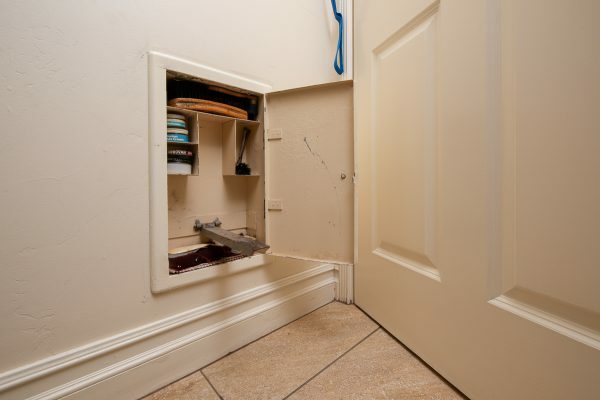 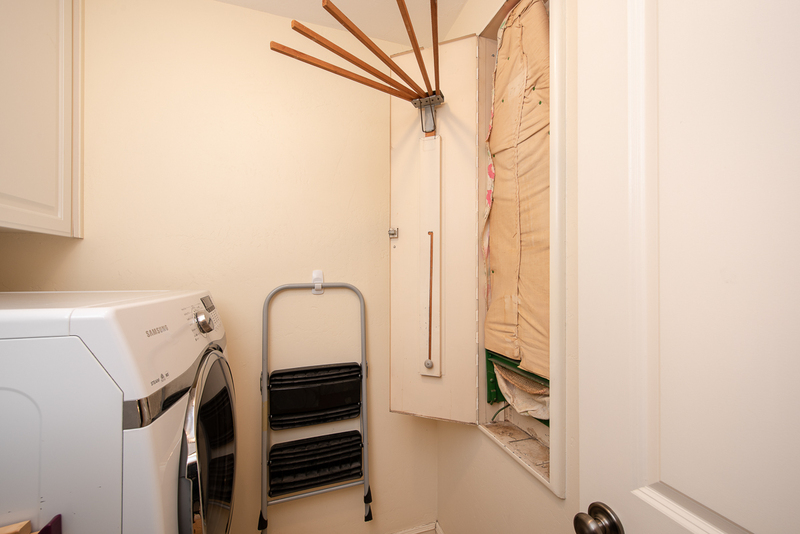 The other 3 spacious rooms have ample storage and are filled with natural light. 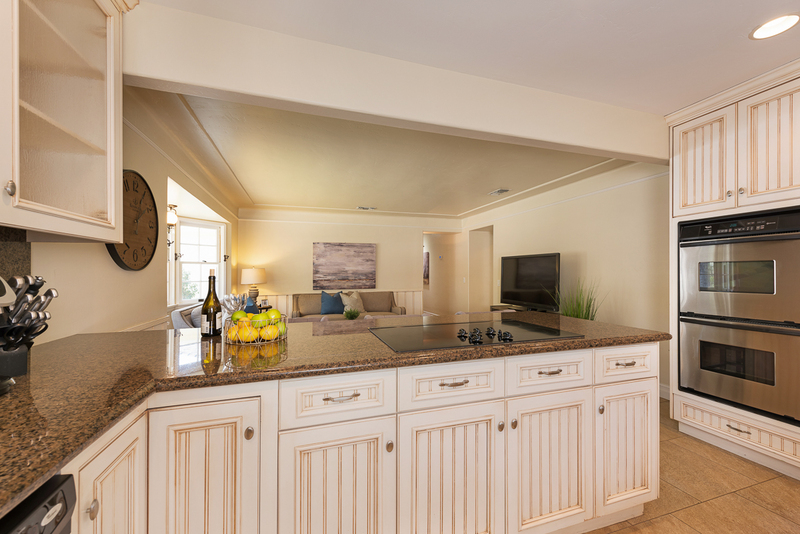 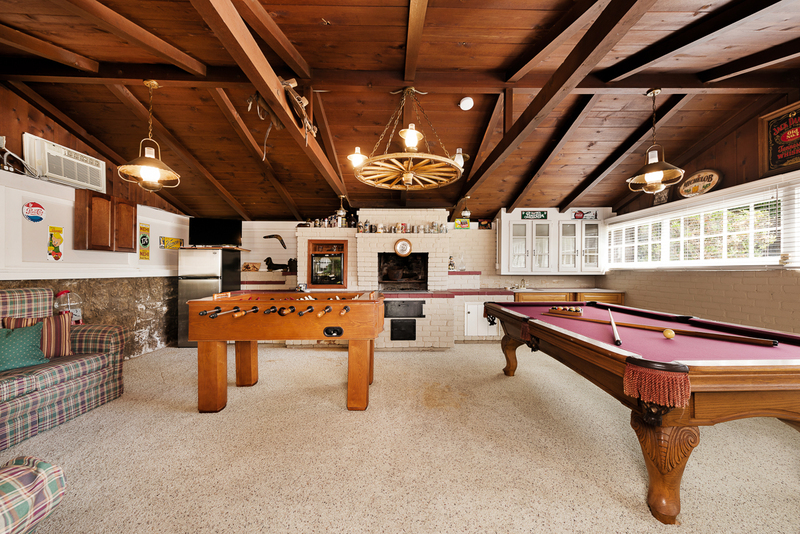 No estate would be complete without a separate entertainment space. How about your very own Rumpus Room? 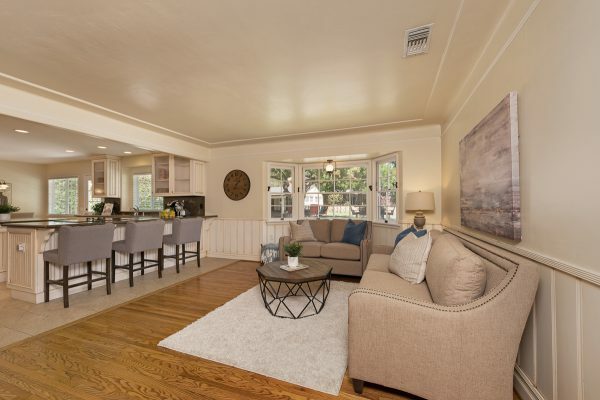 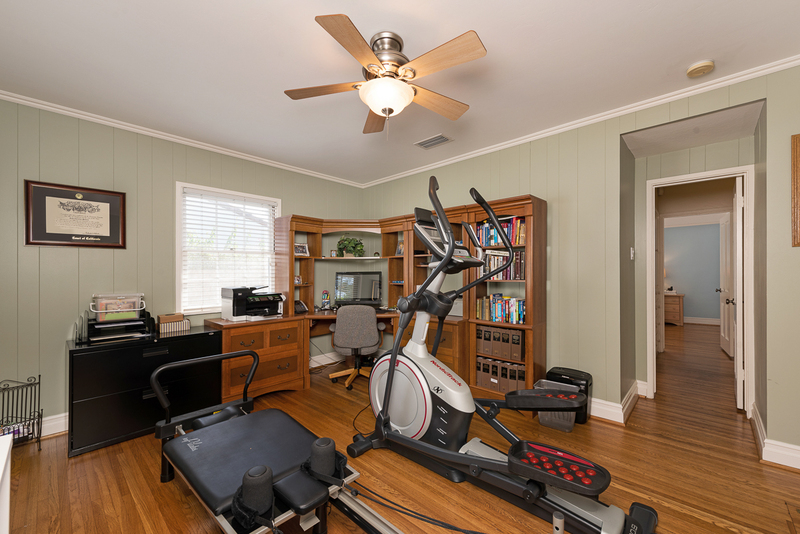 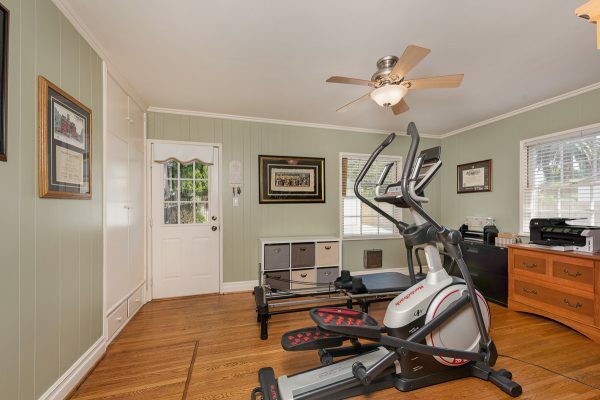 Detached from the main home, this room includes: Open beamed ceilings stained with a contrasting dark finish, wagon wheel & brass light fixtures, a wall AC unit, pool table, spa, and lots of windows to shine some light on the activities. 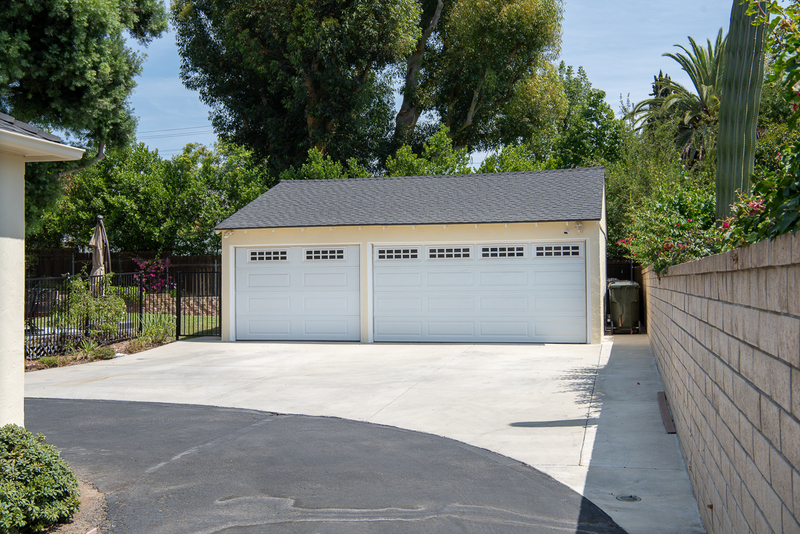 The grounds of this estate are over 1/3 of an acre and include an over-sized 3-car garage to store all of your autos and toys. 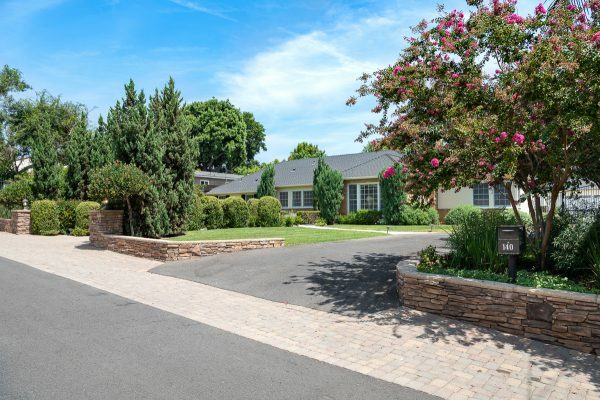 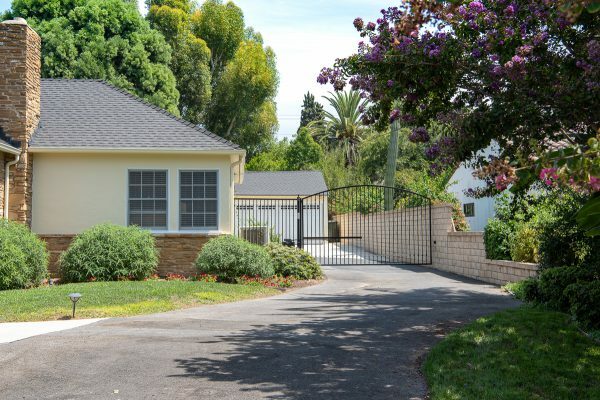 The large driveway includes an electric gate and plenty of parking and RV storage areas. The schools are some of the best Fullerton has to offer: Fern Drive Elementary, Parks Jr. High, and Sunny Hills High School. 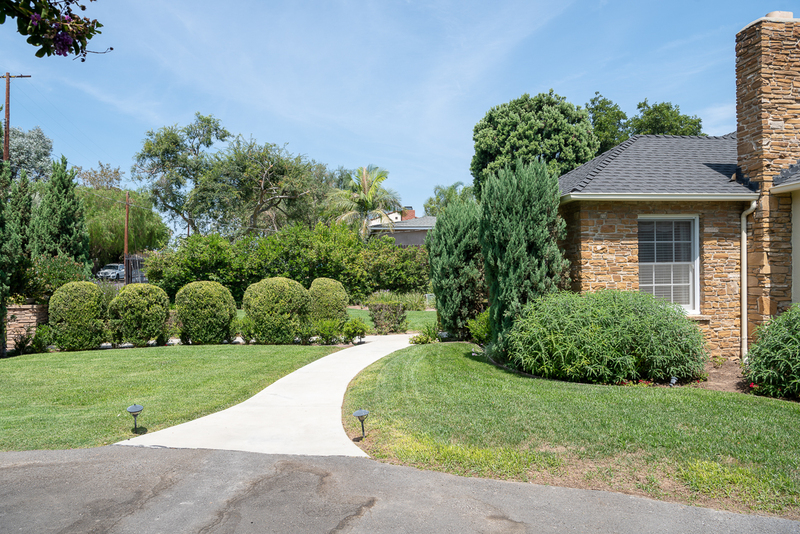 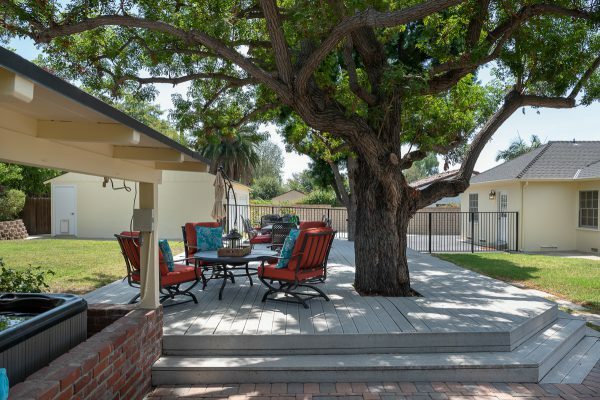 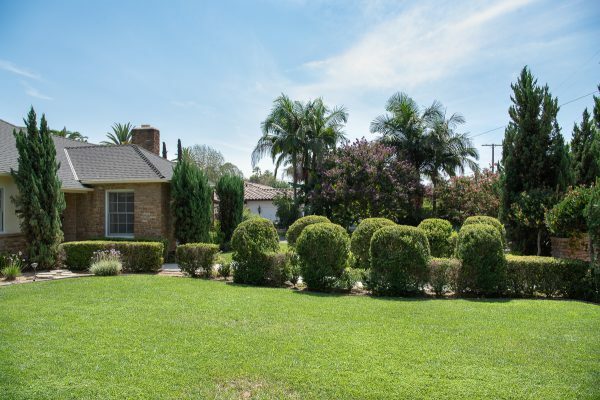 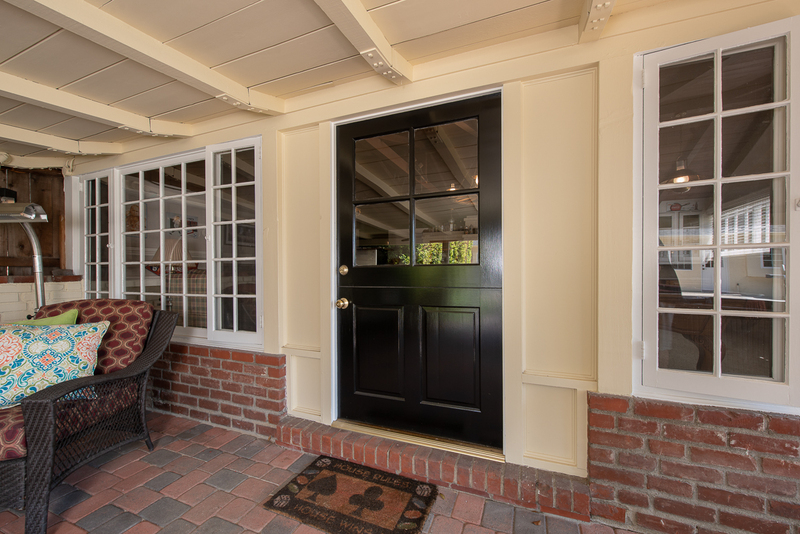 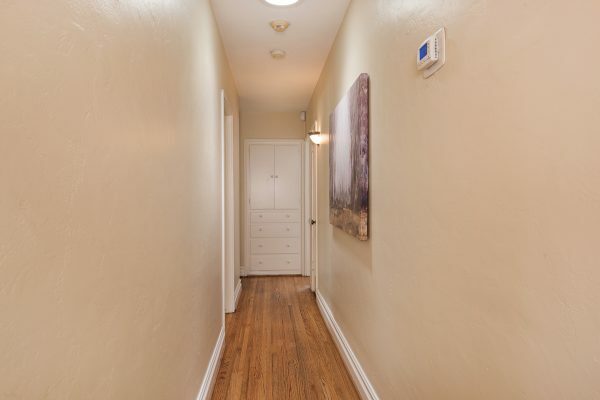 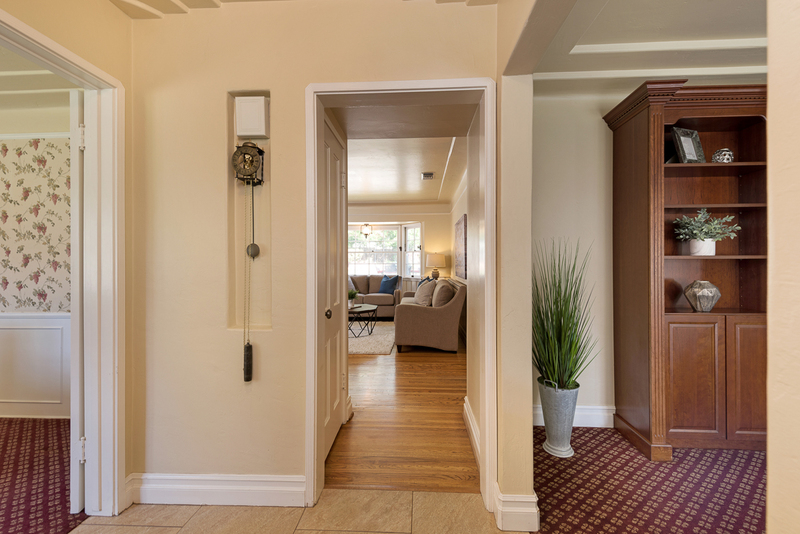 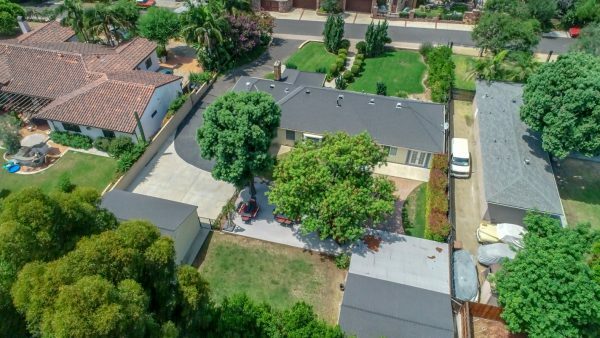 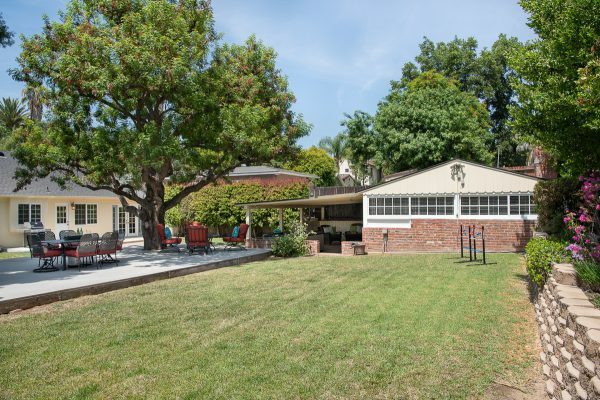 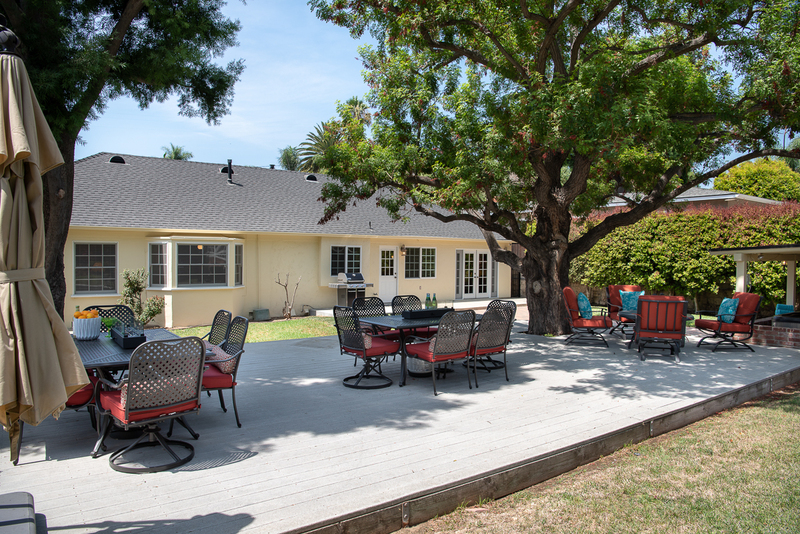 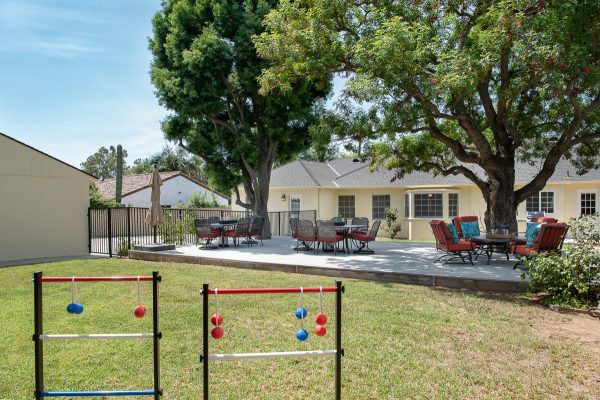 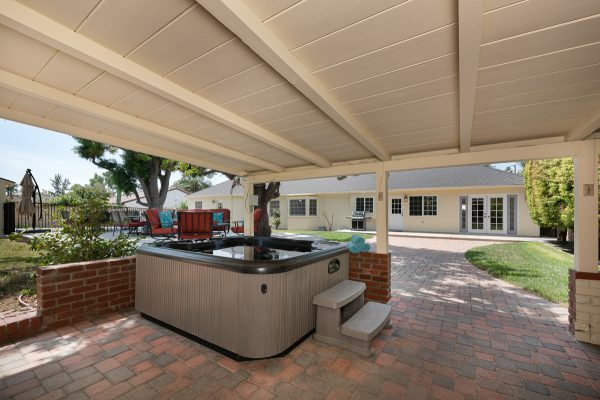 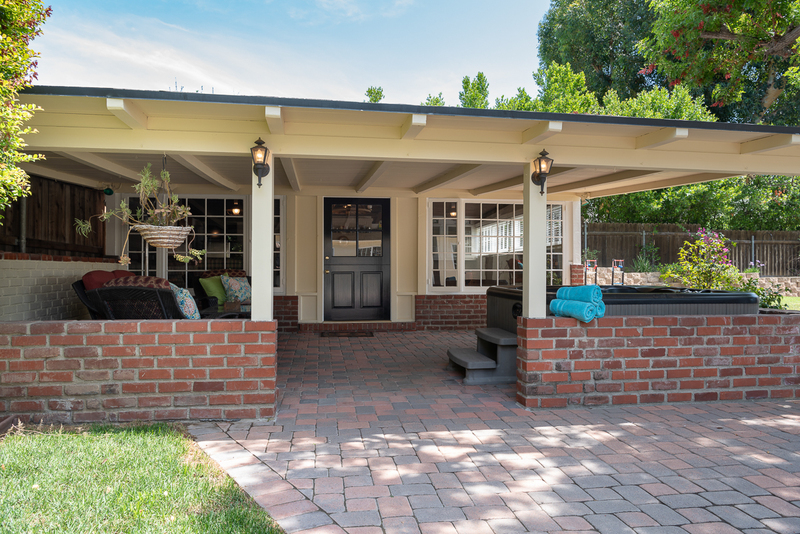 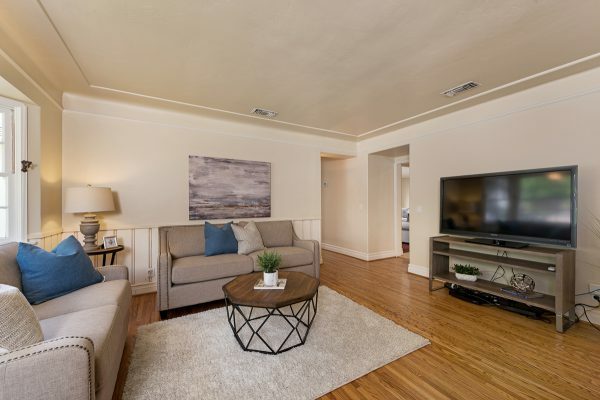 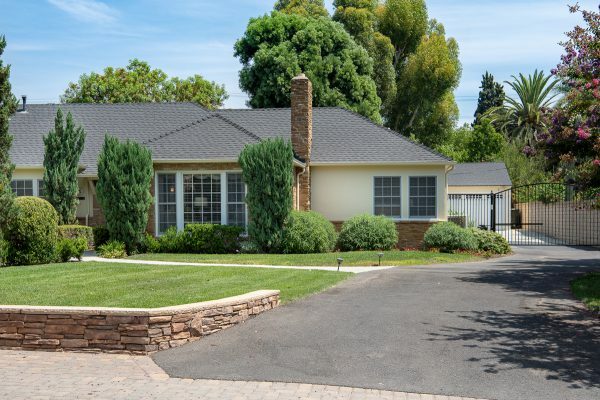 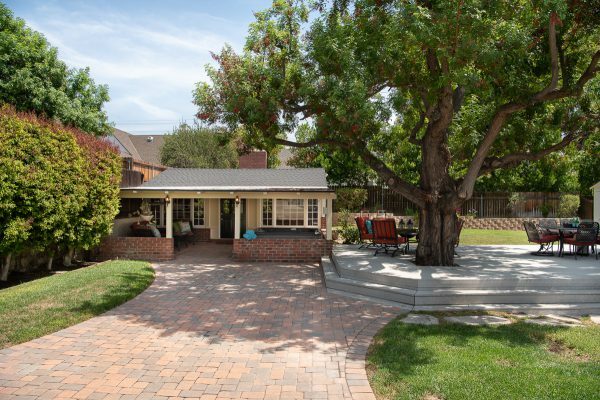 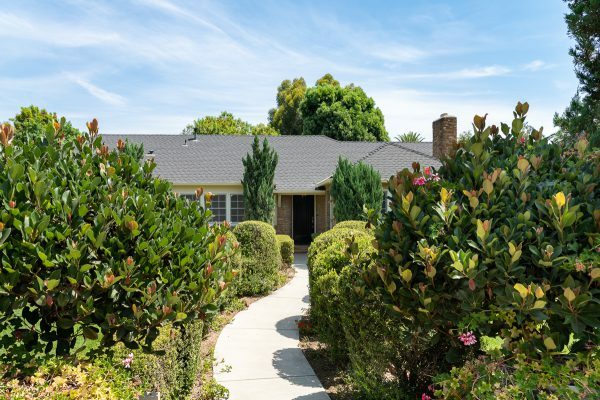 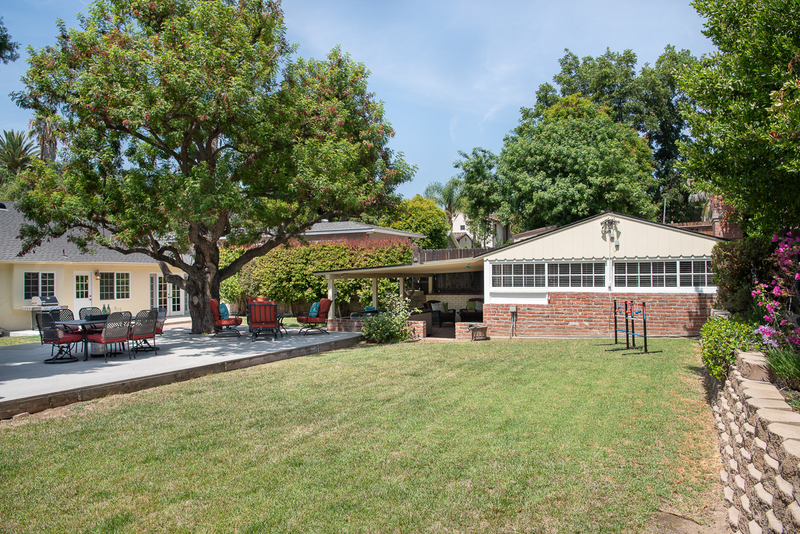 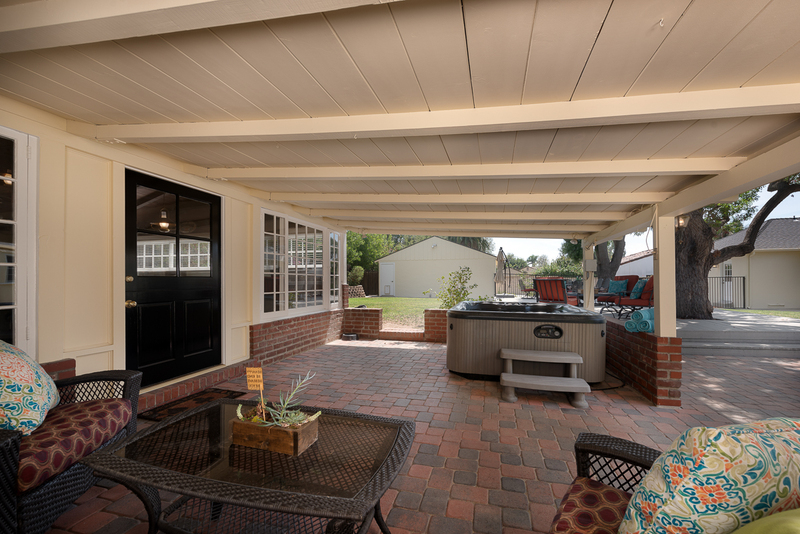 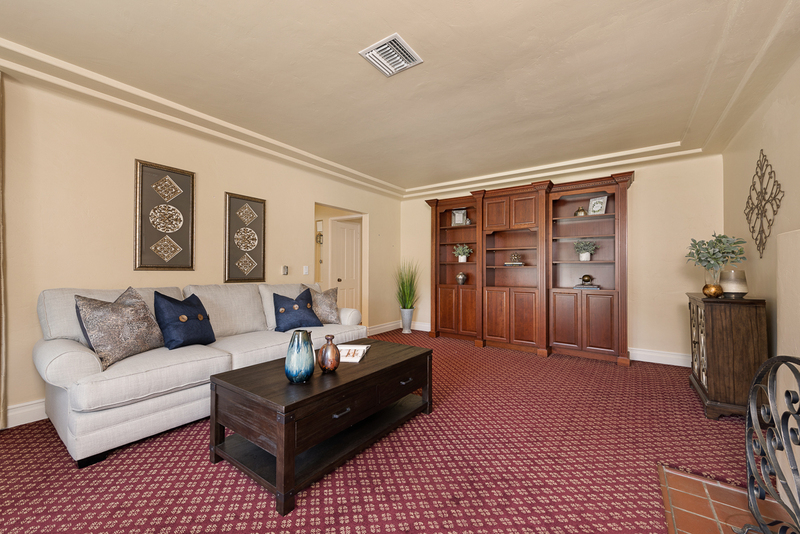 Now the best part of the home; the amazing location, just steps away from Fullerton’s famous Muckenthaler Cultural Center and even includes an annual membership. 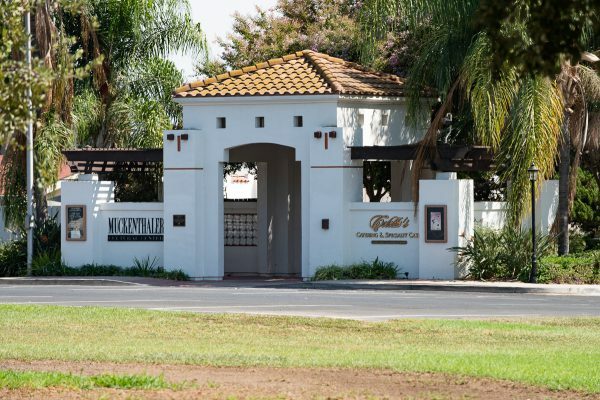 Enjoy the year-round activities and events. 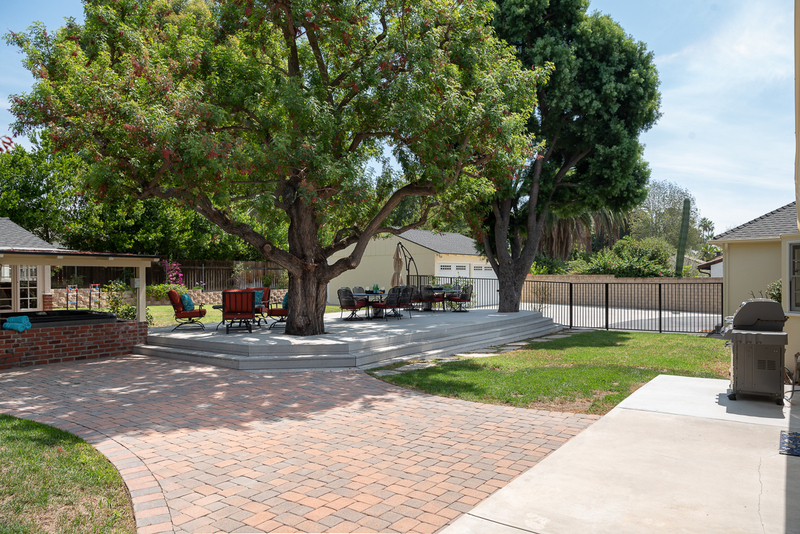 You are also near: Downtown Fullerton, The Fullerton Loop Recreational Trails, and Amerige Heights Town Center. 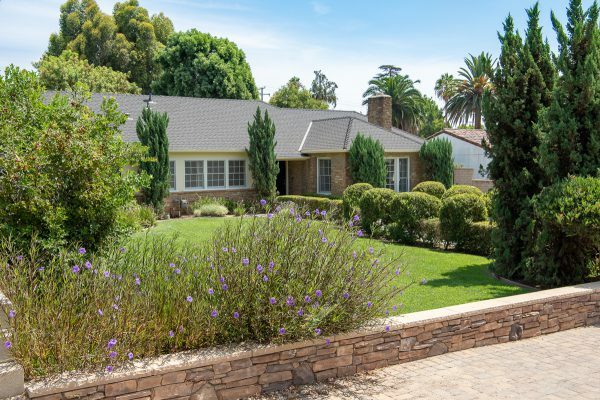 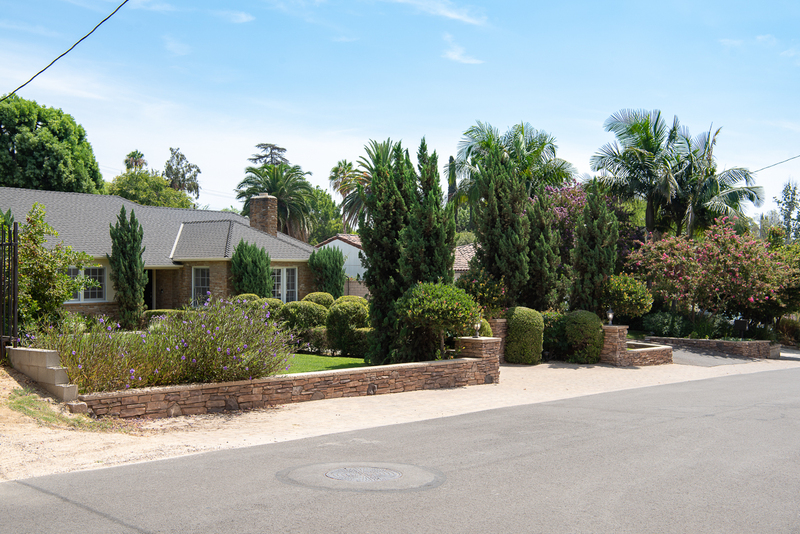 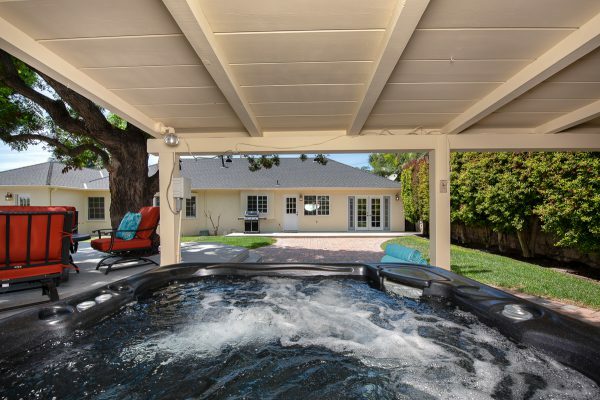 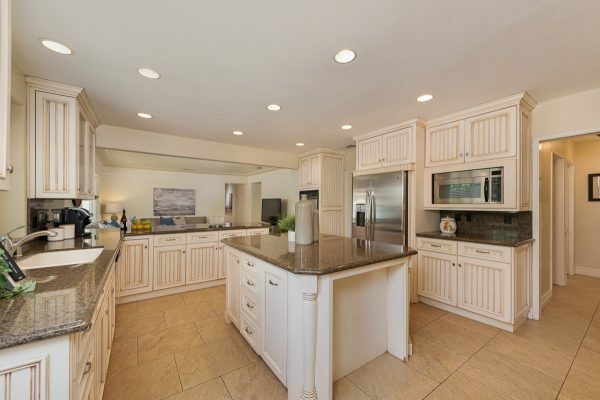 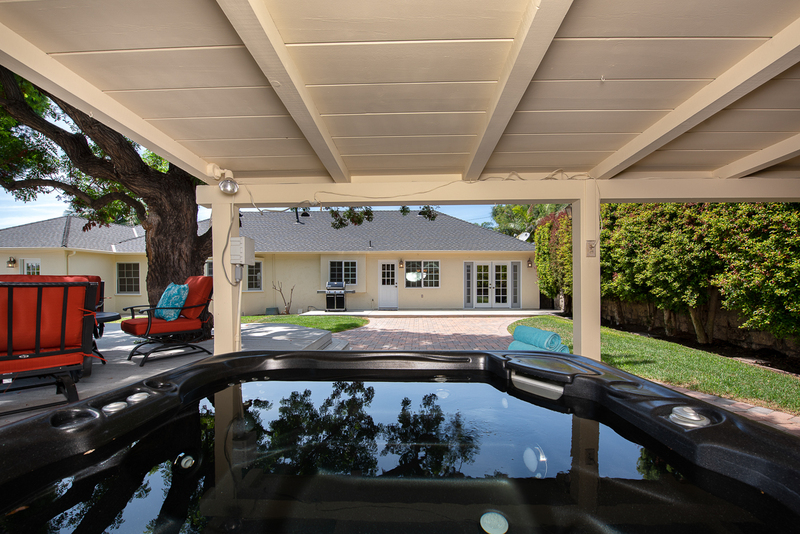 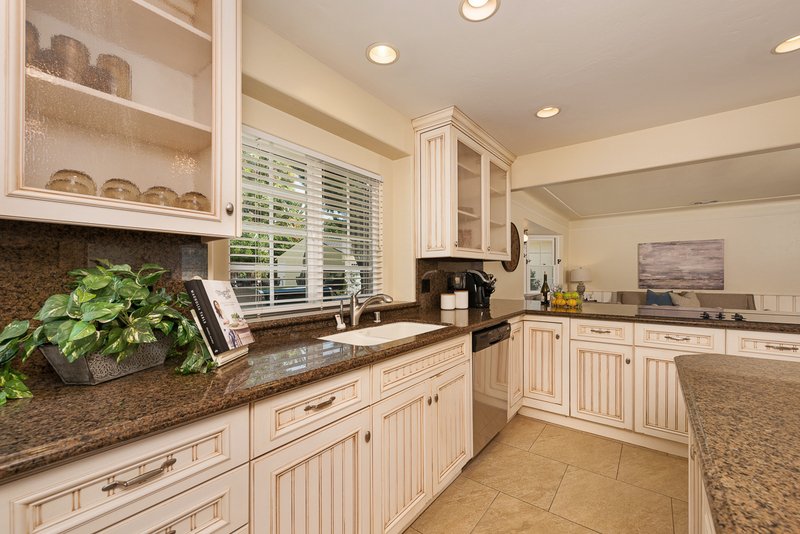 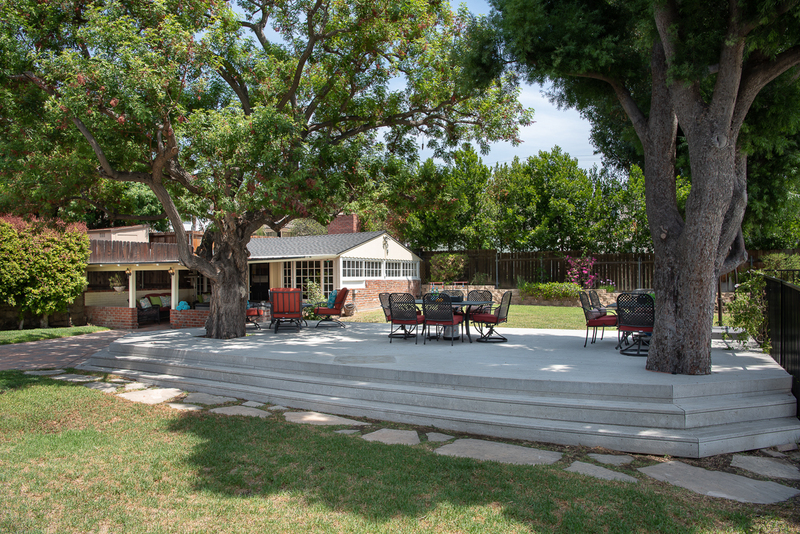 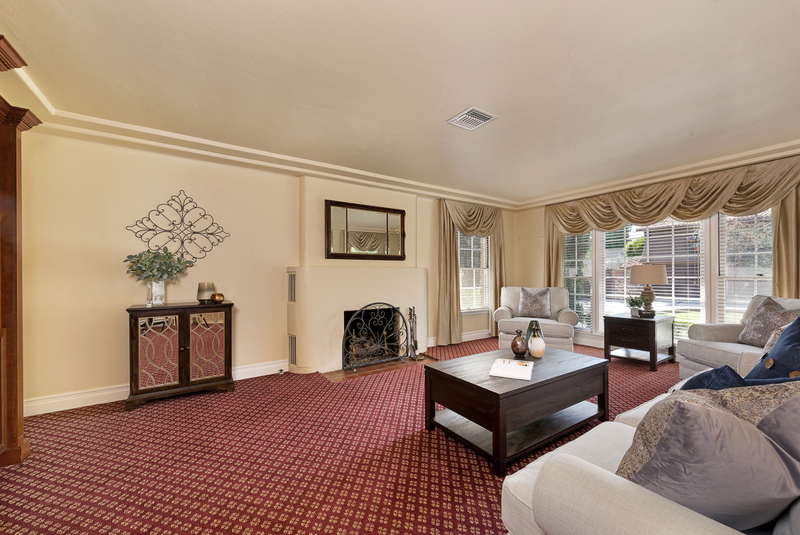 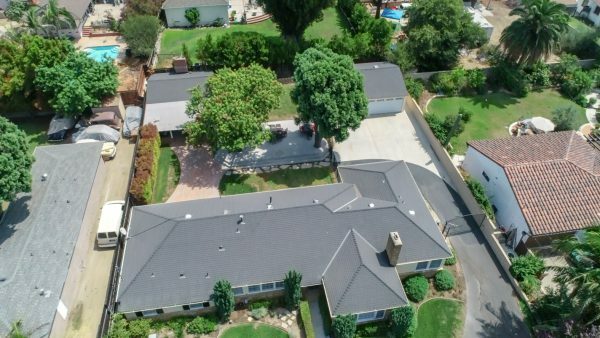 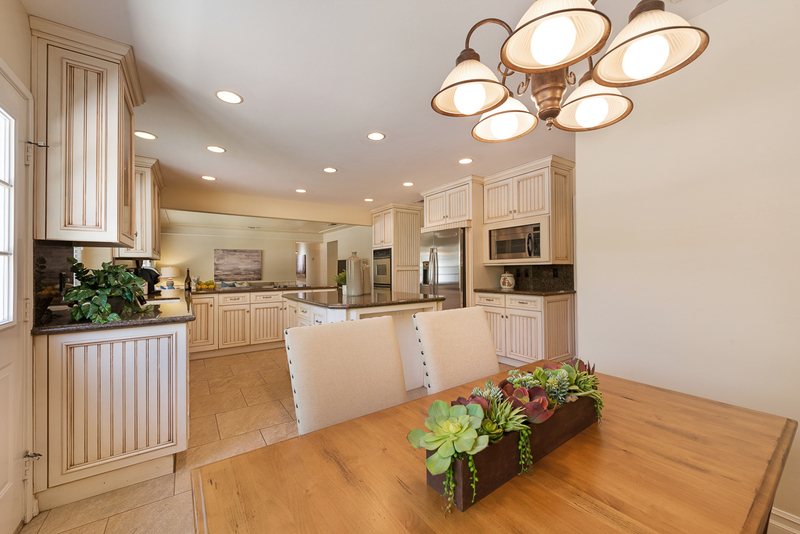 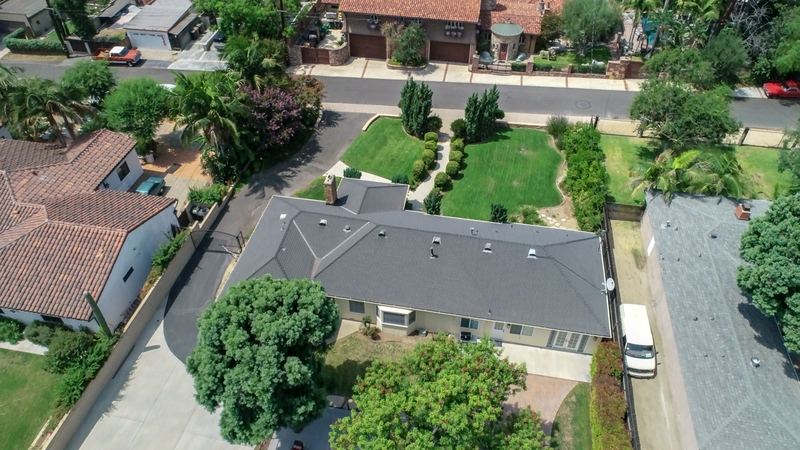 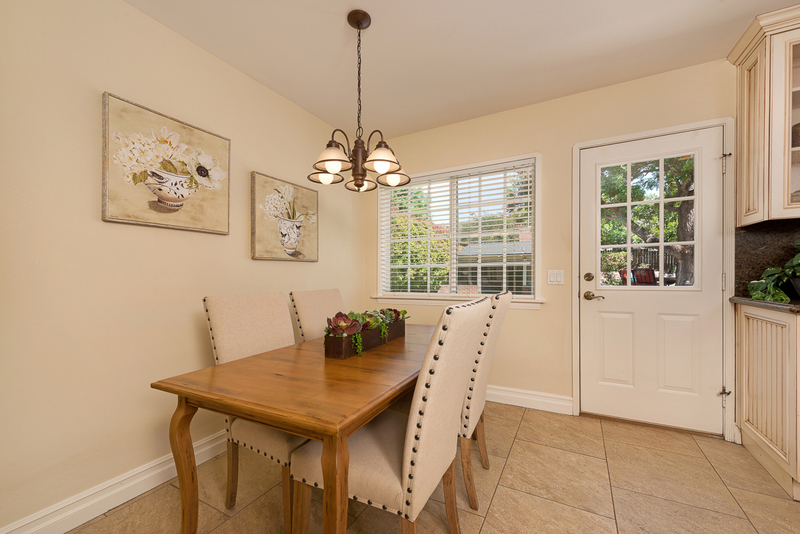 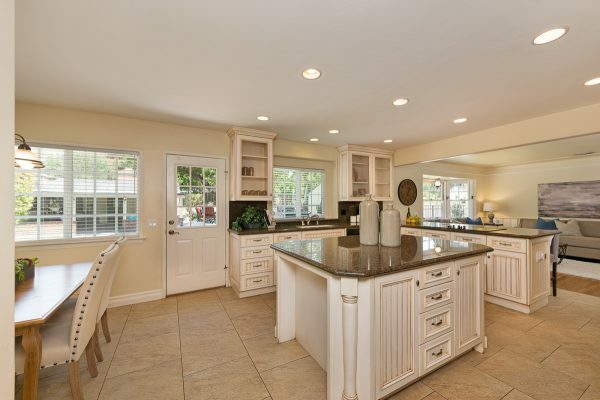 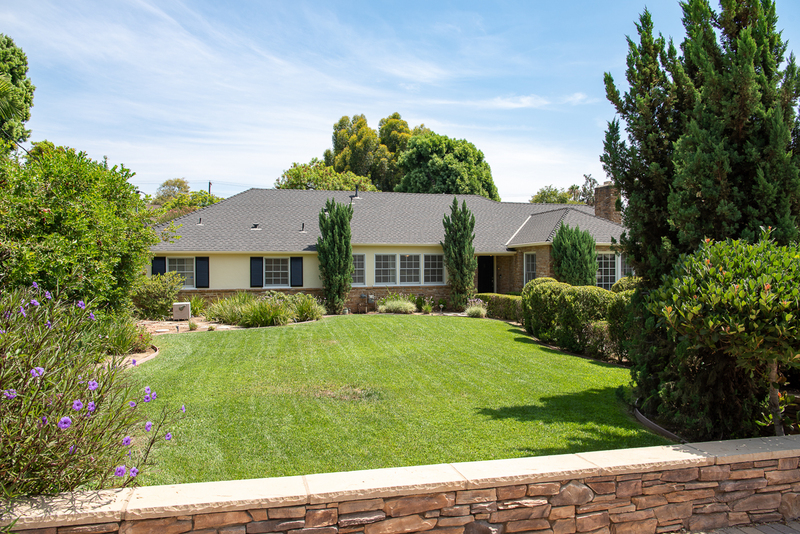 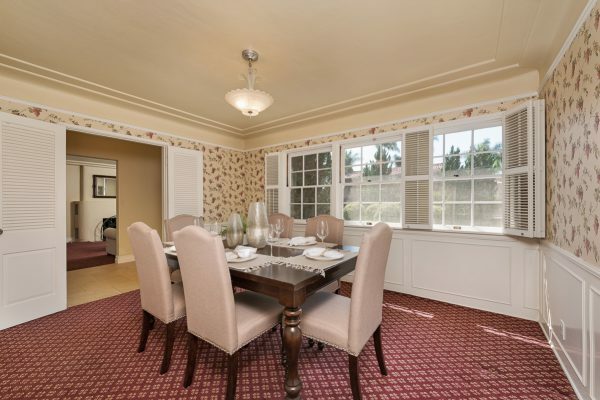 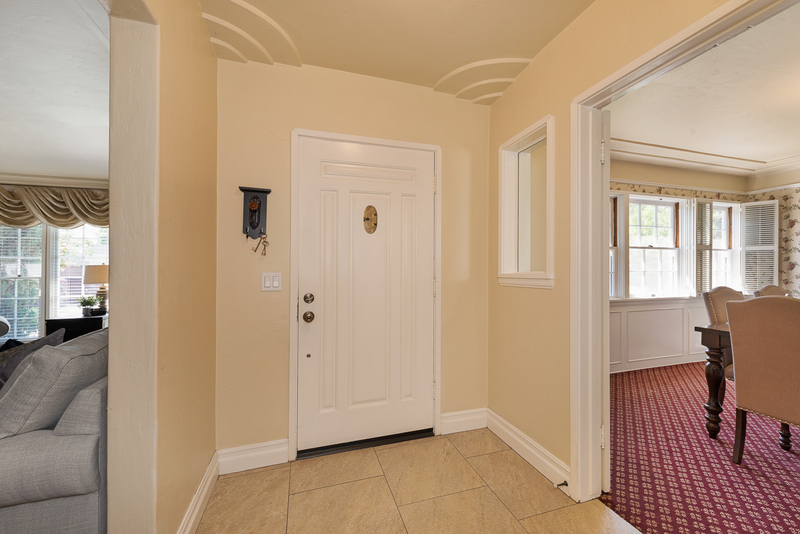 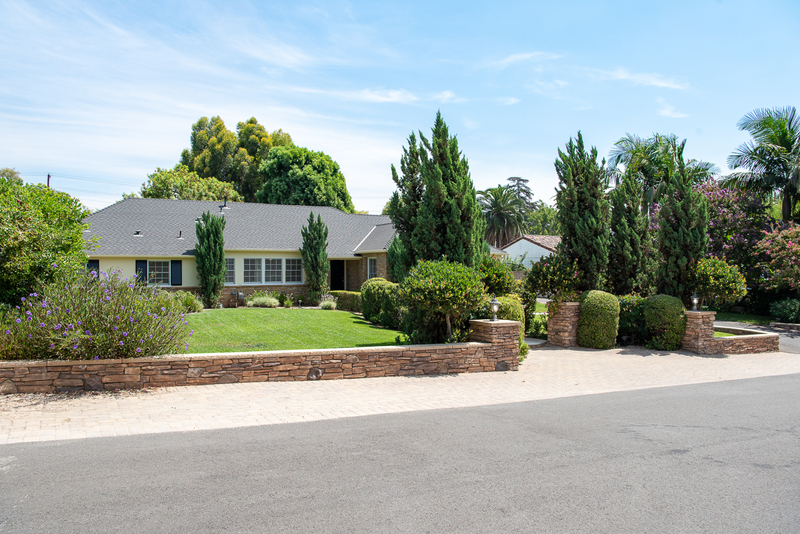 Come home to one of Fullerton’s finest estate homes today.